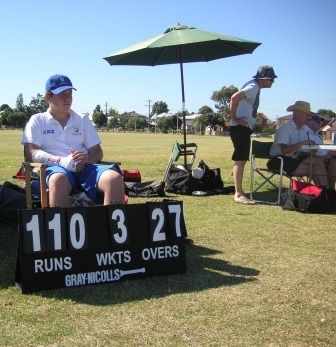 The fourth-placed Williamstown CYMS Under 15C team were on target in their final game of the season against sixth-placed Hoppers Crossing. 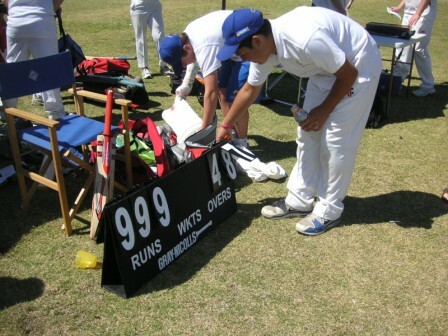 The young CYs, playing on their home ground, needed to score four runs an over to overhaul Hoppers score of exactly 200. 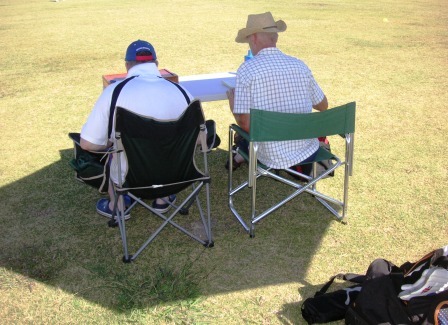 A wicket falls – bowled – and the mood shifts with the shade. 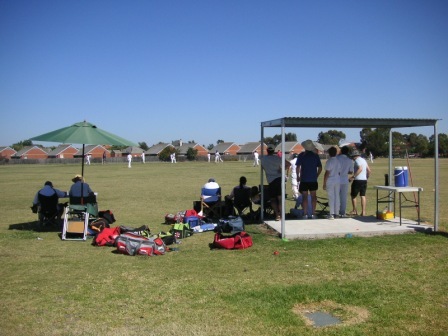 The Bayview St ground, at the back of Bayside Secondary College, does not have a view of the bay. Rather, the ground looks across to the 20 year old Rifle Range housing estate, a large tract of land that hosted the shooting events of the 1956 Melbourne Olympics. 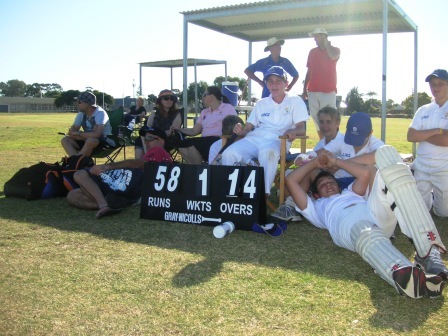 Just over half-way there and Willy CYs are still on track for a finals berth: they need 91 runs from 23 overs. But they are one batsman short, due to one player breaking his arm during the week. Keeping score is an exact science. You need all the peace and quiet, and shade, that you can get. Game over. Season over. 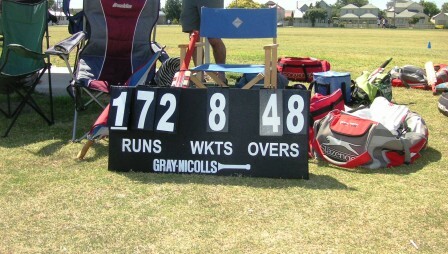 It was Williamstown CYs best score for the season but not enough to overhaul visiting team Hoppers Crossing. Is that John Darcy in the cowboy hat keeping score? Very elegant.